MS wrestling has been cancelled for tonight against Defiance. HS Dual is still on for 6:00 pm. Stop out and support your RIDER WRESTLERS!! 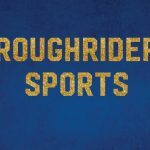 Boys Junior Varsity Wrestling, Boys Varsity Wrestling · Feb 8 Roughrider Wrestling beats Celina!! 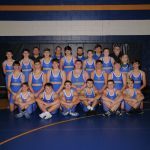 Multiple Teams · Jan 23 Wrestling home with Elida!! Thursday, January 24th, St. Marys is hosting Elida. All Little Rider Wrestlers wearing their wrestling shirts will get in free to watch and support the St. Marys HS/MS wrestling teams. Wrestling begins at 5:00 pm. Good Luck Riders!! Wrestling Practice will be at 5:00 pm today at Cook Gym. Wrestling will be practicing at 3:30 today, Monday Nov 12th @ Cook Gym. Please watch for weekly practice times. Tuesday, November 13th practice will be at regular time, 3:30 pm @ cook. MS practice will follow.